Baby Band Series features eight different sealed mystery bags, each containing a baby figure and other small parts. 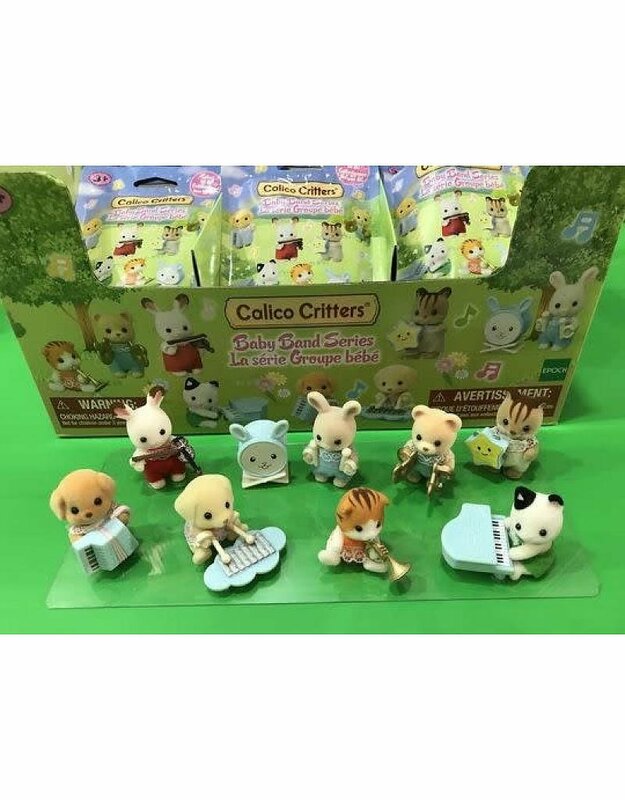 The theme is a nursery recital, and the baby figures come with various musical instruments. 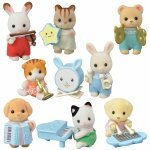 Baby Band Series baby figures are able to hold their instruments in their hands, so they can act out fun recitals. These can be used not only with the nursery series of play sets, but also with various houses for the babies to hold their recitals (all sold separately). The product includes one of the 8 characters.